Don't forget to eat your brains! This statue is out of the Vertigo series iZombie. Based on the art of acclaimed artist Michael Allred. 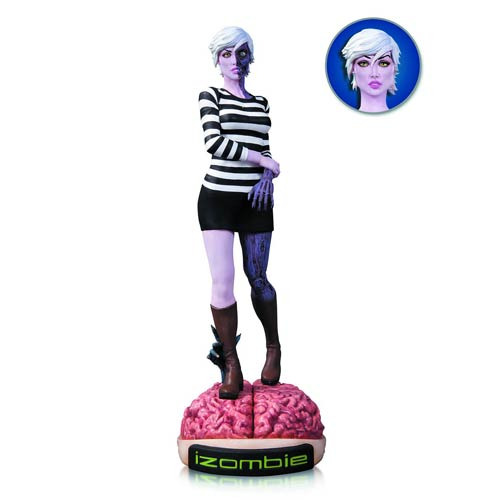 This Vertigo iZombie Statue takes a bite out of the world of the Vertigo series iZombie and serves it up to you! The eye-catching sculpture is based on the art of acclaimed artist Michael Allred and measures about 9 1/4-inches tall.